Doug Slattery learned the value of dedication, hard work and integrity at an early age working on the family corn, soybean and cattle farm in Grundy County, Illinois. During his youth, Doug developed a particular passion for cattle production, being especially drawn to purebred Angus cattle. After leaving home, Doug would go on to work at and manage several Angus operations and herds across the U.S. This would soon turn into more than 40 years of service to the Angus breed and business. 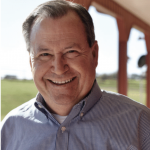 Today as the Chief Operations Officer for 44 Farms, at Cameron, Texas, Doug helps oversee one of the largest and most genetically recognized purebred Angus production operations in the world as well as one of the most successful branded beef programs in the U.S.
Doug Slattery is an experienced cattleman, well versed in the complex and shifting needs of today’s livestock industry – from driving improved breed efficiency through genetic advances, to developing thousands of bulls a season that meet the needs of the commercial beef producer, to getting steaks on the table from coast to coast. dead, he was finally rescued and spent one year in hospitals, endured 15 surgeries and was told his flying days were over. 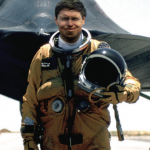 Amazingly, Brian returned to active duty flying, and became one of only 93 men in history to fly the SR-71 spy plane, the fastest jet ever built. 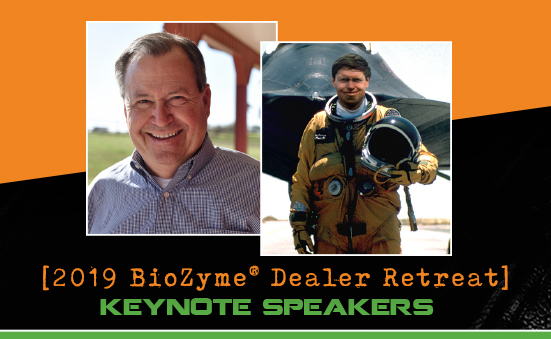 Brian masterfully uses his aviation slides and stories as a vehicle to tell a broader inspired story of hope, overcoming obstacles and daring to dream. From lying near death in the jungles of Southeast Asia to flying the world’s fastest jet, Brian shares his amazing story in this most unforgettable one-of-a-kind presentation that both inspires and educates.